Directory of 19 Alberta Wolf lodges, guides and outfitters in Alberta. Alberta Bush Adventures offers wolf & coyote hunts in Northwestern Alberta, home to the world's largest wolves. Consecutive mild winters have the ungulate populations rising dramatically. This provides more food for wolves in turn boosting the wolves population. Our wolf hunts are done over bait, we will be in the fringe of farmland and public land. You will have pre-baited sites with heated ground blinds. The weather is very cold and wolves eat a lot. You will see wolves from light gray to jet black. Sitting in a blind all day can be tough but it is very rewarding once you harvest a big wolf. 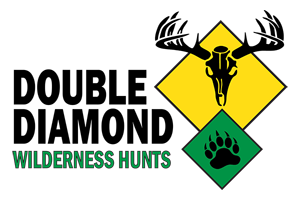 Alberta Native Guide Services knows that you are looking for a great hunting experience, so we offer a 6 day whitetail deer hunt where you will have an opportunity to hunt moose, mule deer, wolf and coyote once your whitetail tag has been filled. For the price of a licence, the hunter can keep on hunting after he kills his buck or if he does not want to buy another license he can hunt wolf and coyote for nothing. The point is that you will hunt for the full six days. Our hunting guides want you to remember your experience with us and come back again and again. Winter Wolf/Coyote hunts. We realize that your hunt is not only about taking the animal of a lifetime but to feel welcome and have fun, stay in comfortable clean accommodations and eat well. None of us would expect anything less on an outfitted hunt. You can be sure everything is taken care of with Garrett Bros. Predators are very abundant throughout Alberta, from yipping coyotes in the prairies to the deep howls of the grey wolves in the dark boreal forest. There is nothing more chilling than hearing a howl echo through the brush as a hunter waits for a shot. This is one of the coolest things about K9’s – they are all highly vocal and respond well to calls, whether it is mimicked vocalizations or prey distress calls. We use both techniques as well as baiting on our predator hunts. We operate the hunts from two separate camps, coyotes from our deer camps in central Alberta and wolves from the bear camp in the northern boreal forest. Mike's Outfitting Ltd. is an Alberta big game hunting outfit owned by myself, Mike Ukrainetz and my wife Jen. We live and hunt in the big game hunting paradise of the Peace River region of Alberta. We provide high success mule deer hunting, whitetail deer hunting, black bear hunting, elk hunting and moose hunting even for hunters who aren't physically fit. Our wolf hunts run from December 1 - March 15 as this is the best time of year to hunt these predators. We use bait, spot and stalk, and calling. At this time of the year there is snow so we travel by snowmobile while hunting. We expect kill percentages at about 50%. Because wolves in our hunting area have drastically increased and there is such an abundance of wolves and coyotes there is no limit on the number of wolves you can take. Alberta wolf hunts can be very rewarding with an excellent opportunity to take more than one wolf and a bunch of coyotes. Wolves are quite variable in color. The wolves in our hunting area tend to be a mix, black to white with many tones of grey. The mature wolves from this area have skulls in the 17-18" range and can weigh well over 100lbs. These ultimate predators makes a great trophy. If you are adventurous and fearless this is the hunt for you. Wolves are quiet, fast and cunning. Our wolves are large with great color variations. Our numbers are large also. Your chances are good at seeing one of these illusive critters. If you think you can out wit the best we look forward to seeing you. There is no bag limit on these animals. That means if your good you can harvest as many as you like (for an additional fee of course). Hunts are conducted using heated blinds over a bait station. Alberta wolf hunts can be very rewarding. Our wolves can be grey, black, blue, white and rust colors. These ultimate predators makes a great trophy. Over the last few years the wolves in our hunting area have drastically increased. Our wolf hunts run from September to March. Because of our abundance of wolves and coyotes there is no limit. The best time to hunt wolves is February. The snow is the deepest and the wolves are hungry, they hit bait best at this time. We do some predator calling but majority is from a blind over bait. A typical bait site is very remote with miles and miles of hard packed ski-doo trails leading through deep snow to the bait site. Wolves are abundant in many areas of Alberta on the eastern slopes of the Canadian Rockies, however they are much more difficult to see. Our wolves are large and incredibly beautiful. During the winter months, we offer stand-alone wolf hunts when they are more mobile and generally easier to spot. The cost for a winter wolf hunt is $3,250 per week with typically an opportunity for each hunter.